The McKee training in Rio Claro, Costa Rica organized by Zappa – a small local animal welfare organization originally trained by McKee Foundation at no cost, to the veterinarians trained. This training is dedicated to the committed supporters of McKee who support making a difference in humane animal welfare in Latin America, where animals are in crisis. Overpopulation of dogs and cats is managed by governments in Latin America by trap/kill, unless the McKee strategy is used. The practices are non-humane in some cases, and moreover it does not solve the overpopulation problem. Continual spay neuter –and owner education- cost effectively and humanely lowers overpopulation. 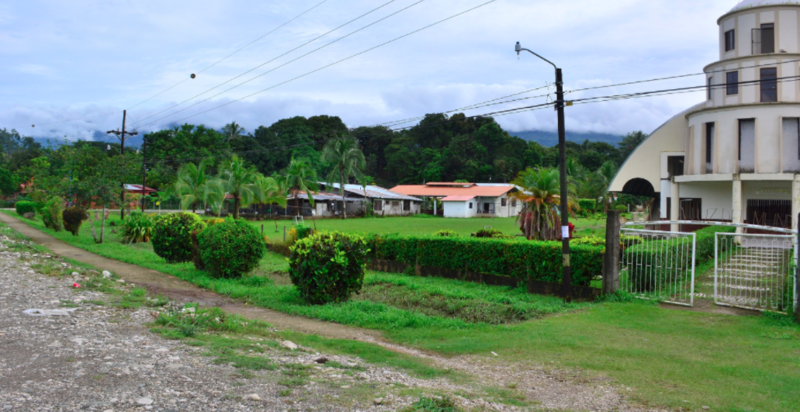 Rio Claro is a town near Golfito, which is a coastal zone in southern Costa Rica. In general, the coastal zones in Costa Rica are neglected by the government, this means there is a high percentage of poverty, and by experience where there is poverty, there is lack of education, thus abandoned animals in the streets in deplorable conditions. Golfito is not an exception, 33% of its population are poor households (INEC, 2011). Due to this situation Zappa works in the southern zone, to lower the number of street dogs by using spay/neuter campaigns at least once a month. Zappa had learned that the McKee surgery technique is essential for these spay/neuter campaigns, that’s why it only works with veterinarians who have learn and been approved in the McKee Technique by the Surgery Program Director and Head Spay/Neuter Surgery Teaching Veterinarian, Dr. Blas Rivas. It is important to understand that Zappa is extremely significant and only has three veterinarian assisting them currently during their spay-neuter campaigns. Zappa covers an area of approximately 194,111 population (INEC, 2011), including Coto Brus, Osa, Buenos Aires, Golfito, Corredores and the border of Panama, where in several of these areas the animals are dumped to die. Their only hope for those animals to find a home is through Zappa and their spay-neuter and adoption program. -Dr. Guillermo Ortega (Surgery Training Assistant to Dr. Rivas). -Azalea Zuñiga Rodriguez (Program Coordinator to ZAPPA). The campaign was organized by the McKee Foundation and Zappa. The training consisted of two days of spaying using the McKee technique. There were 4 training veterinarians in total, from the government sector (SENASA), 1 veterinarian and from the private sector 3 veterinarians. On the other hand, the registration of the animals, the recovery of spayed animals, post-operative instructions to the owners and the agenda of the whole campaign was led by Zappa and several individual volunteers and from the National University of Costa Rica. All four doctors successfully completed the course, below their names and place of work. 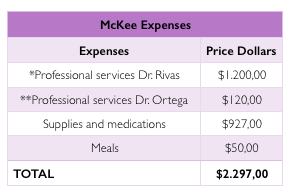 *Dr. Rivas charges for the cost of keeping his office & clinic open when he is teaching, and charges a per veterinarian training charge. **Dr. Ortega is doctor Rivas´s assistant and charges for the cost of managing with the anesthesia in all the soon to be spay animals while Dr. Rivas is teaching and the other doctors are learning, and charges a per day training charge. McKee´s founder paid for gasoline and rental car due to lack of funds. Zappa organization contributed with some of the expenses not listed, including the accommodations and some of the meals. Also for the campaign a small number of the owners pay for the spay/neuter of their animals, in total the campaign had a profit of $80.00 which was return to the McKee Foundation as a donation. *Micro-laparotomy for ovary-hysterectomy in female dogs and cats, a technique that is less invasive, takes less recovery time, has a lower risk of complications, cuts surgery time, uses less anesthesia, is cost effective and can be performed in rural settings. 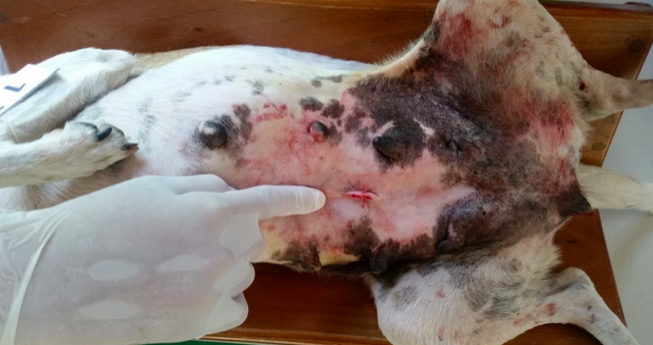 During the two days of practice spay/neuter, during the training veterinarians didn’t face any type of emergency or surgery complication, even though some animals presented poor health and the lack of experience, in the new technique of the training vets. Dr. Rivas´s assistant Dr. Ortega is from Colombia and during the training we talked about the stray-dogs situation in his country. The doctor talked how rabies is a big problem in the urban parts of Colombia and how the authorities carry out vaccination campaigns all over the territory. 4. controlling populations of stray dogs and responsible behavior of dog/cats owners (www.oie.int, 2016). This means that Colombia is taking measures but needs to follow the other three steps to terminate the disease. Except for a few countries, the existence and proliferation of stray dogs is a serious social and public health problem in most countries in Latin America and the Caribbean, it is imperative the control and reducing of the population of these animals; but REDIPRA 14 (Meeting of Directors of National Rabies Control Programs in Latin America) reiterates that sterilization of dogs as a method of population control is ineffective if minimum coverage of 80% (70% in other readings) of the dog population are not met. Due to this, Latin American countries use capture and removal of ownerless stray animals (www.paho.org, 2007). Spay/neuter generated a positive impact on the reduction of canine and feline population of the south zone of Costa Rica. 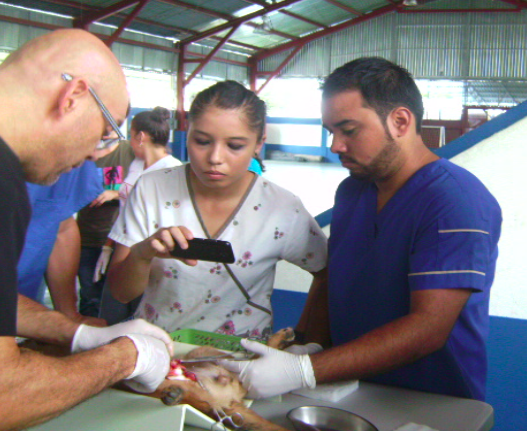 By teaching not only private practice veterinarians, but also Costa Rican government veterinarians that there is a humane alternative to lower animal population, cost-effectively, and addresses serious public health issues such as rabies and other zoonotic diseases, is a great step forward in animal welfare in Costa Rica. McKee could not have taken this step if not for the faith in and support of the small donors and the doctors of the McKee Project Foundation and Zappa organization. Thank you from McKee for making a difference in animal welfare.